The Christmas countdown has begun and one staff member who has been getting into the spirit of the season of goodwill here at Jempsons is Paul Fuller. 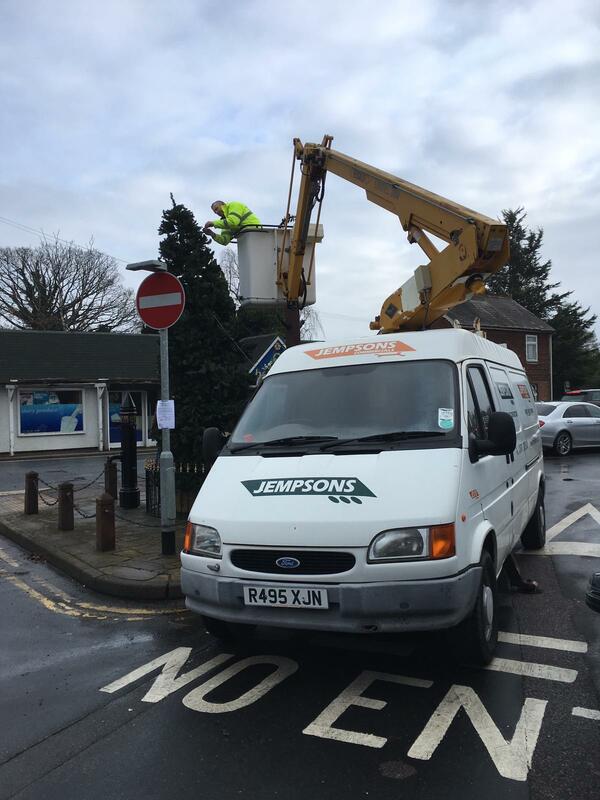 The Service Manager used the cherry picker to erect the Christmas tree for the St Michaels Village Community Group on Sunday November 25, bringing a smile to the faces of the locals. Meanwhile, five of our drivers are preparing for their LGV (large goods vehicle) licences, meaning they will be eligible to drive articulated lorries. Wish them luck! We will update you on their progress in the New Year.